Rider Switch (sometimes called "Child Swap") is Disney's system that allows people with small children to take turns riding the bigger rides while the other person/people wait with the child. Update: As of June 19, 2018, Disney has begun to transition from paper Rider Switch passes to all digital using your MagicBand or RFID enabled ticket. Aside from the Rider Switch being digital, the process is very similar to the previous method in all aspects except for the return time. As you encounter a ride that has a height requirement, your whole group should be present and you can tell the Cast Member that you'd like to use Rider Switch. The Cast Member will then scan the MagicBands or tickets of the waiting portion of your group (Group 2). For those people they will see the Rider Switch added to the FastPass section of their My Disney Experience account. The riding portion of your group (Group 1) will proceed through the line. Previously guests had anywhere from until the end of the day to, in some cases, the end of the month to redeem their Rider Switch pass. This new digital method, however, utilizes a return window that is 1 hour long (with a 10 minute grace period). Note: The new return time restriction is something you'll want to keep in mind when planning out your FastPass+ reservations. Just like with paper FastPasses I still highly recommend that you use FastPass+ for only the first group. This means that you'd get FastPasses for just the number of people riding in Group 1. Once your group shows up during the FastPass window (the whole group should show up, including the non-riding child), the Cast Member will scan the MagicBands or tickets of the rest of the group (Group 2). Group 2 will then have the Rider Switch pass added to their My Disney Experience account. That Rider Switch pass will then allow Group 2 to use the FastPass+ line. This method effectively doubles the number of FastPass+ reservations you can get since the Rider Switch passes work like FastPasses. Here's an example of how this could work for a family. The old paper passes did not have a time specified on it, however, the new digital versions do specify a return time with an hour and 10 minute long window. You'll be able to see your return time in the My Disney Experience app. Each time that the too-young-to-ride child waits on the rest of the group to ride, they only need 1 adult to stay with them. That means there is an opportunity to allow the rest of the group (if you have more than 2 adults) to ride twice. Let's say you have a family with 2 adults and 3 kids and only the youngest child isn't riding. The first group can have 1 adult and 2 older kids while the other adult and youngest child waits. The second group can have the other adult and the 2 older kids (Rider Switch allows up to 3 people). This means the 2 older kids get to ride twice. One of my biggest pet peeves in all of Disney World is when people make their small children sit and wait while older people ride. 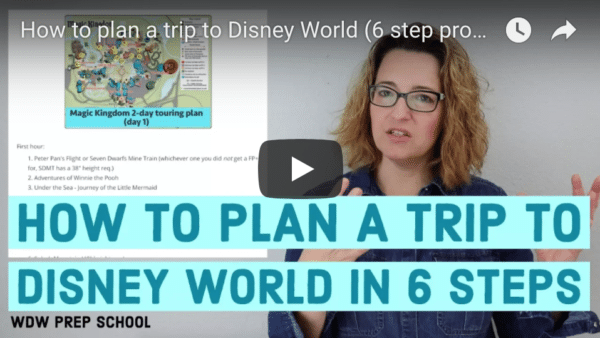 You're at Disney World - there's lots of things to do! Here are some things to do if you are in the waiting group. The speed at which you tour depends on how busy the parks are, when you arrive, what you're riding, how fast you move and if you are using Rider Switch. As you can probably guess, riding the same ride twice will slow you down quite a bit. Keep this in mind as you create your touring plans. By the way, I will be getting names of which employees enforce both groups needing fastpasses to see if it is specific castmembers enforcing the rule differently. Does anyone know the name of the rogue castmember from Seven Dwarves Mine Train? I have a Florida annual pass and recently tried out the rider switch at Animal Kingdom and Magic Kingdom. It did work and wasn’t too confusing because it is me, my husband, 7 year old who is tall enough for all the big rides and 2 year old. I can’t wrap my mind around how to juggle more people than that and how it would work. There are some varying rules that I still don’t full understand and it is enforced differently depending on the cast member or perhaps park? In Animal Kingdom we used rider switch for Everest, DINOSAUR, and Primeval Whirl. For example my husband and 7 year old would have a fastpass for the ride. All family members present to the fastpass line and ask cast member for rider switch. They promptly ask who is staying behind with the youngest child and will oldest child be riding again. What they did was scan my card/magic band and 7 year old. Then hubby and oldest child use fastpass like normal. When they are done, me and oldest child go through fastpass lane using magic band/card like normal. The adult staying behind did NOT also need a fastpass and this is how customer service explained it to me as well. At Primeval Whirl I was told the second group (me and oldest child) could not go on in less than 40 minutes, I suppose this may have been what the standby wait was. So we just went on Triceratops Spin while we waited. No other ride gave any time restraints min or max. At Magic Kingdom we did this same method at Thunder Mountain Railroad. The castmember said all people are supposed to have a fastpass and “they are starting to crack down on this because people are abusing the system and basically getting more than 3 fastpasses”. He did let us on the ride but said in the future that all would need fastpasses. He was a white male in mid to late 20’s or early 30’s perhaps. I did not get his name. I wonder if this is the same guy who others have reported enforce this same rule on the Seven Dwarves Mine Train. I am going to keep using the method as explained on this webpage. If we all need fastpasses, then what is the point? We can do our own rider switch within the fastpass window. And what about my oldest child getting to go on twice regardless? Is that not getting an extra ride/fastpass? My theory is that the rider switch is an old program that was grandfathered in and some people who don’t have kids don’t like it. It is definitely not an advantage going to Disney with young children when it already takes twice as long to do everything. I recently spoke with a representative from Walt Disney World who told me that it is now required that all members of the party have a Fastpass for the ride that rider switch is being used on. So they are cracking down on people getting more than 3 Fastpasses by using rider switch. Are the rides listed for the child swap up to date? Wondering about the slinky dog ride. Thanks! I was wondering if anyone has done this lately. Im planning a trip in Nov 2019 and I will have 4 adults and 3 kids (7 years, 5 years and 1 year old) so we will have to do rider swap with the 1 year old and I wanted to do optimize my fastpass+ with all the people we have. I have a question. Family of five and two grandparents going to disney. We are booked on all our fastpasses, and the grandparents are booked with us. If they decide they don’t want to ride a coaster, can we use their bands? Can we switch bands around to ride more than once using their fastpass? Thanks! Yep! You can use somebody else’s MagicBand for a FastPass as long as they’ve entered the park that day with you. I’m confused….how would they allow the 8 y/o to use the fast pass of the 3 y/o? The 8 year old can use the 3 year old’s MagicBand. We did this method when we went in September 2017, and are hoping to use it again in September 2019. We only had a few significant wait times for our whole trip and it was fantastic. Yes, having 3 older kids means they have to take turns sitting out for the second ride. But, they all got to ride twice on a few rides. Question: we are hoping to do a pre park opening breakfast at Be Our Guest and then ride Seven Dwarves. Will they give rider switch passes to our party before park opening? I seem to be getting a lot of conflicting reporting… Does both mom & daughter have fast pass, does dad also need to have a fast pass to do the child swap? Please clarify. And daughter could ride again with dad? I have used this method one our last two trips with great success! However, since the rollout of digital rider switch, I have seen cast members on many forums (many who say they work at attractions like Mine Train and Flight of Passage) all say that they are denying rider switch to groups where all party members don’t have the fastpass. I have emailed guest services twice and they say that all party members must have the fastpass to use rider switch. I want to keep using this method, but I am afraid of having our trip ruined by getting turned away every time we try to use rider switch. You responded to a comment about this back in July. Is there any new info that confirms/denies you can still split FP+ like this? Yes, we hear from readers all the time who use it like this and many of the trip reports on the podcast have mentioned it. If everybody has a FastPass, what’s the point of Rider Switch? I completely agree, there’s no point in rider switch if everyone has to have the fastpass! It’s not just that you can’t “double up” using this method, but every time you use rider switch (with all riding adults having a fastpass) the child(3 or older) who sits out sacrifices their fastpass, because no adult has a spare fastpass to take them on something else! I’m a single parent of four — three kids tall enough to ride and an infant. We are staying on property so I can get fastpasses 60 days in advance and I plan to get them for Mine Train. So here’s my situation. This will be the only time we can ride this. My friend lives in the area and will just have a one day ticket so can only get fps 30 days out and it is unlikely therefore that she’ll be able to get a Mine Train fp. If you link your friend in the my disney experience app she should be able to get fast passes 60 days out when you do. Is there any way to more effectively use parent swap when there are two adults, a 7 year old, a 2 year old, and a 1 year old? Anything I map out leaves each adult with an unused FP. Please help! WOW…simply WOW. I’m so gracious to understand this. It’s so helpful in planning. I recommend this site to ANYONE planning a trip. Seriously! The detail of your explanations are fantastic! Thank you for the care you put into helping us navigate the land of the mouse! We’ve utilized this rider switch/ Fastpass for our past 2 trips and it’s been a lifesaver! I do have a new question though. This trip will be our first with park hopper. 2 parks a day. My plan was to have my husband and son (Group 1) secure FP for the morning park and my oldest daughter and I would be “Group 1” at the afternoon park. Ex: dad and son have FP for 3 rider swap at AK, Mom and daughter have FP for 3 rider swap rides at MK) Also, the baby just turned 3, so we’d have her ticket , but hadn’t planned to schedule a FP she won’t use. Now that it’s digital, will the cast memeber be able to issue a rider switch to our magic bands if we already have other fastpasses scheduled at a different park? An hour is too short. Avatar fastpass Lane is over an hour. Not to mention feeding kids and back to back fastpass. Hi! My husband, my mom, and I are taking our toddler to WDW in November 2018! (so excited!) This will be our first experience with Rider Switch (RS), and I understand that there are recent changes with RS going digital. We read an article on a different site called “ninja swap,” which was written before the digital RS was in place. It is specifically related to combining FP with RS. With ninja swap, only one adult would need a FP, and the other two adults would wait with the baby. Then, the other two adults would be able to ride with the RS pass. I’m wondering if this will work with the new system. My understanding is that all adults would need to scan their magic bands. This means that the CM would know that only one adult actually has a FP for the ride, and they would know that we are trying to max the ride (do “ninja swap”). I have heard that CMs may require all adults to have a FP, even if one or more are planning to do RS. I’m sorry for rambling. My main question, in summary, is with the new system can one adult have a FP and then the other two adults ride with RS? Or, must at least two adults have FP, and the remaining adult would use RS? Has anyone used the Rider Swap since they changed it to digital. Have people been able to still get fast passes for half the riding group and the other half still be able to go through afterwards? I was told by a recent visitor that if both people dont have Fast Pass selections for Rider Swap, that the Swap person will be assigned a swap time that is equal to the current standby wait time. So if the standby line is 120 minutes, the swap will have to take place 120 minutes later (within the standard 1 hr window). This was done supposedly to stop families who use rider swap from gaining “extra” fast passes. 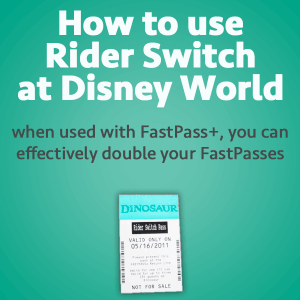 Any idea how far out the rider switch pass is assigned now that it is digital? For example, if my husband and I each schedule our own fastpass on different rides for the same time slot (let’s say 5-6 pm) and we go to the first ride, does it look for the next open time or can it ‘stack’ a rider switch pass and a fastpass in the same time slot? They try to allow you the amount of time it takes the person/people in group 1 to ride, so it’s often a 1 hour slot (though the amount of time varies by attraction) from the time you get it to the time you use it. So we will be a family 5. 2 adults and 2 children riding age and one infant ( will use for RS). How should we proceed. I thought that the 1 adult and 2 kids have to get the FP and the other RS. The 2 kids could then go again. But what happens when the kids run out of passes and the adults still do! Lol so confusing. Hi! I was just reading on my very reliable Disney Board that with the new digital rider swap cards they are rolling out you can not longer split your Fastpasses, as outlined in your article above. Many members are saying that ALL parties must have a scheduled Fastpass for the ride you are planning to rider swap, as Disney is trying to rein in guests who were abusing the system :-/ Can you confirm? We’ve asked several Cast Members and recent travelers and all have said that you can still split your FastPasses, though the occasional Cast Member will say differently. There’s no point to using Rider Switch if everybody has a FastPass. Family of 5 with a 2 year old. We will use our fast pass and my husband will take two older kids on ride while I wait with baby. Will they scan my magic band and my two older ones to give us the rider switch, or can we cheat the system and my husband go again with my two older ones? I’m guessing if they scan my magic band, I will be the one with the rider switch, not him. Not advising cheating the system. If you don’t need Rider Switch to take turns riding, I would just not use it. I wonder if someone could please let me know if I can have another fast pass booked at the same time as a rider switch? E.g. Can My husband take my eldest on a “big” ride (using FP+) and I ask for rider switch. Whilst my hubby and eldest are riding, can I use a FP+ on a “small” ride with my youngest and my hubby use rider switch on that one? That way the kids can ride their rides twice and my hubby and I get to ride each ride once with them. I have a son who is not yet 44 inches. Can I booked a fast pass for the Navi ride for him and me, while the rest of my party rides the Flight of Passage with a fast pass and still do the parent swap? Or do I also need a FP for the Flight of Passage ride to get the parent swap? Would love an update on how the new digital FP system works now. I have a party of 5 going (4 adults, 1 child under age 3). My original plan was to get FP for myself and my husband and then use the rider switch for my parents to ride after (without booking a FP for them). Will this still work with the new system? Your whole party goes to the standby entrance and shows the baby or child too short to ride. You present 3 magic bands. The cast member scans those bands, giving them Fast Passes (which show up on the app, by the way). Some people stay with the baby, others proceed in line. After a few minutes, leave the line and just use those 3 FP+ instead. Nothing is making you wait the whole 85 minutes. I have a daughter who just turned 4 this month but is super tall (48″). She is not going to want to ride most of the rides my 9 year old will. Will we have trouble using rider swap since she is technically tall enough? I am worried about this too. My oldest is 8 and 51”… but he won’t ride ANYTHING. Hey we are a family of 5 adults and one baby. Is it possible that 2 adults ride using FP and the remaining 3 ride using RS? can one adult ride by himself (without a kid) and ask for a rider switch? They will usually ask to see the child who is not riding, so if your party has 2 adults and 1 child, YES – one adult would ride alone, then the other adult would also go alone using the rider swap (or the first adult would go again instead). Hello, I think I have this right, but don’t want to mess it up. We are traveling with 5 adults, a 2 year old and 2 babies. If we book a FP for a ride such as Space Mountain, can 2 adults book the FP and then give the rider swap tickets to the other 3 adults, as long as we show we have the 3 kids? So confusing! Thanks! Hi! We have a party of 9 going with 2 of the 9 being a 4 yo and 5 yo. Could we schedule FP’s for 2 of the other 7, show up at the FP entrance in groups of 2 with each one having one of the younger children, the FP rider, and a 2nd adult, then both FP riders request a rider swap? The other 5 adults could then use the rider swap passes along with 1 of the original FP riders to ride again, essentially getting all 7 adults on the ride faster but only using 2 FP reservations? This is probably covered somewhere else but how long are the rider swap passes good for? Thanks! And it depends – sometimes rider swaps are only good for that day, sometimes more. It will be written on the paper they give you. Hi, So if we did FP rider swap with adults rather than full family ride due to height restrictions, it ends up that my 4 year old has 1 remaining FP for the day, but he is unable to ride by himself on anything. Is it possible to book his 3rd fast pass for a ride he can’t go on and one of the adults use his last FP reservation ? OR are you unable to do this at it will be on his magic band? How would you be able to use a 3 year olds fast pass/magic band but then not have them ride it? Will they really not say anything about that, let you scan the little ones band and then you take the older child? ? Yup, you can use any band, no problem. Is this working for Flight of Passage and 7DMT? I’m worried about it for FOP as I’ve seen some boards saying the cast member won’t issue the rider switch unless all members of the party have a FP. I would love to know this as well! Where did you see this report? we were there on this march. we didn’t try on FOP but we were unable to use rider switch on 7DMT because of this issue. we had 2FPs for 3 people. We got on space mountain, big thunder, splash, test track, soarin, star tours, no issues. it was very frustrating. I called Disney before reserving and the lady told me that all of us(3) have to have FPs to use Rider switch ( instead of 2 or 1FPs. this made us anxious but we didn’t get FP that way. we had 3 FPs on different time slot hoping we can use RS and cancel one.) so I guess that’s what they were told to tell us. not totally imposed but at least 7DMT it is. Hi! Love your description. What if the parent waiting with the non riding child decides they don’t want to ride in Group 2 after all (my mom is unsure if she wants to do Space Mountain). Could 3 people from group 1 ride again? (We are a party of 7 and would have 5 Space FPs for group 1). Fast pass day tomorrow and trying to get some final clarifications! We have 4 adults and 2 kiddos going with us. Can you book FP for Rock N Roll for 2 adults, for example, everyone get in FP line and since both kids are too small, have other 2 adults wait with them and ask for RS for the other 2 adults? Can someone please update on if Shannon’s description is still working? If you’ve been so far this year in 2018! This sounds amazing, but there seems to be a lot of conflicting/confusing situations and it’s confusing the heck out of me. Are there any rides you’ve noticed that have started enforcing that ALL who wish to ride need a FP in order to even get a rider switch pass?? I don’t want to get there and be told we all needed an original FP for the big ride to be able to get the rider switch. Hi, Kara – The way it’s written here is how it works throughout Disney World officially, although there has been a rogue Cast Member at Seven Dwarfs Mine Train that occasionally enforces it differently. People who have encountered him and complained have been accommodated at Guest Services so he’s definitely not doing things the way they’re supposed to. Other than that, the way it’s written is how it has worked for years. I guess we were one of unlucky one on March 2nd. I asked him what is the benefit of RS then he said kids can ride it twice. Was rider switch advertised as that as main purpose?? If a child get scared when it’s almost time get on the ride after we have been waiting can one adult leave with the child and get a rider swap pass to come back without waiting a second time? Lots of great info on your site – thank you! I’m sure this was thoroughly explained, but just a clarification. My wife and I are traveling with our 3yo and her parents. They likely won’t do rides and will always watch him. In this scenario can we, book one FP, use the rider switch at that same time for my wife, and then both go on together on one FP? Or is rider switch only for later in the day? No, that won’t work, and since the purpose of Rider Switch is to make sure that somebody is with the non-riding children at all times, you likely won’t need to use it if your wife’s parents will be with your child. Hi Shannon! Fantastic site- I book FP soon so thank you for all the helpful information. I read through all of the comments but I want to verify that rider switch is still working and would work in my situation. We’re 4 adults (my husband and I + two grandparents). My 5 year old is 47″ but too scared to ride Flight of Passage. Can my husband I and get FP for FOP and then ride switch so that the 2 grandparents can ride without a FP? Can 4 adults ride switch with only 1 child? I always thought only two adults could ride switch if there’s only 1 child and that the whole group had to have a FP in order to utilize ride switch. Thank you very much! With Avatar now open, I was able to get 2 fastpasses (we are a family of 6 with one child below the height limit. From what I read My husband and child A could go with the 2 fast passes and I could go with child B and C with the rider swap passes? Yep! That should work. Just make sure you all show up at the ride to get the Rider Switch pass. Helpful post, per the norm for your site. Our family of 6 is visiting in May and we’ll get to experience Pandora for the first time! Not sure if you’ve covered this elsewhere, but I would love to hear your strategy for using Rider Switch in order to ride Flight of Passage more than once. am i able to book fast passes for space mtn for my husband, daughter (10) and son (8) and then get rider switch so i can go back later and ride wtih 10 and 8 year old again, but then book my fast pass and my other daughter (5) fp for barnstormer and ride that while the other ones are on space mtn. i was told that when we get to space mtn all of us need to have fast passes or the cast member won’t issue us a rider switch. so if i have it for barnstormer are they going to deny the rider switch? Is this working in Pandora too? We are a family of four; mom, dad, 5YO, and 2 YO. I would like to try to FP FOP for dad and FP Navi for mom + 5YO in the same time frame… we all go to FOP to get a rider switch… mom and kids ride Navi while dad rides FOP… mom and possibly 5 YO (if she grows another 1/2 inch and is brave enough) return later to ride FOP on the rider switch. Will this work? They will give us a FOP rider switch on 1 FP? It will work on anything that has a height requirement, and often also works on rides that little ones are just too scared to ride. How does rider swap work if the child (tall enough but young) decides not ride last minute because they are scared? Can they wait off to the side of the loading area with one parent and then can the parents trade places so that the other one can ride? Can a 6 year old wait with the CMs while both parents ride ? There’s 1 Cast Member at Seven Dwarfs Mine Train that seems to be enforcing it differently, but there isn’t an overall change to the system. This isn’t a “scheme” but just the most fair way for families with young kids to be able to ride without making little ones wait for too long. Hi Shannon! Love your site/podcast – really helping me plan our first family WDW trip coming up. I am reading reports of Rider Swap not quite working like this for SDMT any longer. Sounds like they make everyone in the group have a FP and then make the non-riders wait off to the side (instead of going to do something else cool with the little kids, then backtracking later for the swap). I was thinking of pairing SDMT up with Thunder Mountain and then doing Space Mountain at Rope Drop, so if SDMT won’t allow this, I need to rethink what to book for my FP selection in 9 days!! Thanks for any tips. We are a family of 5 with 3 kids, two are 48″+ and a shorty 2 yr old who *might* make 38″ but probably be 37″. Thanks! Did you take your trip yet? I’m curious if you ran into this issue at 7DMT… or if anyone else has as well. Hi! We are going in a few weeks yet but when I made our 60 day out FP selections, I ended up having to split our group into two parties of two and will just pass the two year old along while each pair takes the ride and not going to risk trying to take the ride with just two FPs for four people. We will try the swap for space mountain and railroad ride instead. Hi Shannon, can we save more of our FP if we just get one FP and do rider switch for my husband or me, and my three year old son rides once instead of twice? For example, my husband will be Group A by himself but when we return during our window, I would take my son. We will be traveling with my infant daughter, too. Thank you! We are 2 adults and a 2 yo. Can we use the rider switch pass from the single rider line so that we’d both have a shorter wait time since we’ll be riding alone anyway. If I have a 5 YO and 2 YO without a ticket I wouldn’t be able to double the fast passes, correct? Since the 2 YO will not have fastpass to switch with I will have to book the FastPass for the 5 YO for every ride? I’m wondering the same thing, I’m confused! Yes, that’s correct, but the 5 year old can ride many things twice if they have a FP+ to ride the first time and use Rider Switch to ride with the other parent the second time. Is there anything stopping the same adult/child from riding again using the rider switch pass? We are traveling with infant twins who won’t be able to ride, but there are some rides I won’t ride either. Could we still get the rider switch pass and use it to get my husband and 9yo on the same ride a second time? Anybody (up to 3 people) can use the Rider Switch pass, including the same people who rode the first time. What if the only one person rode the first time. Can he/she return with more riders not exceeding three people? Thank you! Yep! Doesn’t matter who it is as long as it’s a max of 3 people. Yep! Anybody can use the Rider Switch pass, and you can have up to 3 people use it. We are making our reservations in two days so I’m hoping you can help me clear my mind! So we have four adults and one 1.5 year old. The baby will not have a ticket attached to her band as she is free at the parks. So would I just get two fast passes for each ride alternating between the four adults? Ex: adult 1+3 get fastpasses all of us go to the front Rider 1+3 go in while rider 2+4 wait work the baby. Then they come back and Rider 2,4 and 3 go again? Or do I get fastpasses for 1,3+4. Then they go in and baby and 2 wait. When they fine back 2,3+4 go again? But then I would only have one person available for the second fastpass choice… Any help?? Can an adult use a child’s band and their fastpass? We have 4 adults and 2 children. To maximize this I booked myself and 2 adults in a roller coaster, and then also booked my husband to go on a ride with my daughter. If my daughter chicken out and decides not to go can I use her band and FP to ride with my husband so he doesn’t have to go alone? I know kids can change bands and it make sure no difference. Just wondering if they paid attention to whether the FP was a kid or an adult. Yep, you can use the child’s band without a problem. Can you get multiple rider swap passes? I am booking fast passes in the am. We are a group of 2 families. 4 adults, 2 children, and 1 infant. As I understand my husband, daughter and I could fastpass on ride, get a rider switch which could be used for the other couple and their daughter. Then flip flop it and use their fast pass for a different ride. I would love to maximize it so the girls could ride twice. Is it possible for me and my daughter to FP and get a rider switch, and my girlfriend and her daughter also get a FP and a rider switch. So when we were done the husbands could take the girls on again? Also, for the ifnst I know he does not need a ticket or a fast pass. However he is still getting a magic band (we are staying on property) and it gives me the option to book a fast pass. So can I actually book under him? Basically can I get an extra FP by booking his as well? Is there rider swap for TS Mania? We are making our Fast Pass reservations in the morning (July 14)! Quick question and I hope you get this… We have a 50″ tall son and a 40″ tall daughter. If both my husband and I would like to go with our son on Rock’n’Rollercoaster, would they still let us get a rider switch even though our daughter isn’t tall enough to ride? I’m worried they’ll say, “Your daughter can’t ride anyway, so we can’t give out the Rider Swap.” Thanks for your time! Having a child that’s too short is exactly what the Rider Switch is for – so an adult can stay with the child who can’t ride. Good luck getting all of your FP+ reservations in the morning! Thank you Shannon! Do they offer rider switch for TS Mania? The list of attractions that offer it is just above this comment section (which are the attractions with height requirements). There may be more that will offer it for kids that are too scared to ride, but that’s at the Cast Member’s discretion and not consistently enforced across the board. Hi there! This is all GREAT info! My question is this: you mention the 8 year old riding by using the 3 year old’s fastpass. How does that work? I am familiar with how to book the fastpasses, but how can the 8 year old use the 3 year old’s? Just walk up to the magicband scanner and have the 3 year old scan bu the 8 year old enters the line? Just have the 3 and 8-year-olds swap MagicBands for a bit. 8-year-old can scan the 3-year-old’s MagicBand when boarding the ride to use the FP+. Thanks for the info, Shannon!! This might be a stupid question, but does the thumb print scan not have to match the magic band if the 8 yr old and 3 yr old switch? Thanks for your help! Hope you are having fun at the Expo!! Hi Shannon – We have a 6 (46″), 5 (42″) and 2 year old. Will 1 adult be able to accompany the 6 & 5 year old for rides that they are over the height requirement for? Or does it need to be a 1:1 ratio? I’m sorry if you have already answered this one, but here is my question. We have Dad, Mom, 9-yr old, 2-yr old, and two adult friends. How would we make this work so that the 9-yr old can ride multiple times as shown in your lovely chart above :o)? Dad, mom, and 9 year old can go in the first group, then two adult friends and the 9-year-old can go in the second group. Im curious about how fast passes work for Enchanted tales with belle, meet cinderella, and other character meets. Do I need a fast pass for the adult accompanying the kids or could I focus their fast passes on character meets. (My kids are 6, 4, and an infant) Also is it safe to assume that a non ticket holder (infant) cannot acquire fast passes? Everybody age 3+ who enters the building (including adults) needs a FastPass+. And you’re correct that kids without tickets can’t get FastPass+ reservations, but they don’t need them. They can just accompany you with whatever reservations you’ve made. Hi Shannon! I love all of your posts and your podcast! Super helpful 🙂 We are going in Aug. and we can start reserving fastpasses this Thursday. I feel like I understand how it works I just want to be completely positive before I start reserving. There are 7 of us going- 5 adults and 2 children (7yrs and 1yr) would this scenario work? Rider switch for adults 3,4,5 and 7yr old? Almost. Only 3 people can use a Rider Switch pass, so you’d need to adjust the number of people using Rider Switch and make one more FastPass+ for them. I just called WDW and they told me that you cannot get a child swap ticket if you are already using the fast pass line. Therefore, you can’t just use a fast pass for one person, then use child swap tickets for the rest of the group. You have to be waiting in the regular line. Did they change their rules? That’s not what I’m gathering from this article. I am going to Disney World next month. We are 2 adults and 3 children (age 3, 5, and 8). Am I able to just book 2 Fast passes (1 adult and 1 for my 8 year old) and get a Rider Switch for the other adult and my 5 year old or does everyone need a Fast pass? Also, could I book a Fast pass for my 3 year old and have my 8 year old use it to go on the ride again? Thank you! You can do what you described – make a FP+ reservation for 1 adult and 1 child, then get a Rider Switch for the other adult and child. You can also use your 3 year old’s FP+ to ride again (but keep in mind that Rider Switch passes work for up to 3 people so you may not need that step at all). Thanks for this very useful information, Shannon. My family of 5 (me, wife, 9 YO, 6 YO, and 3 YO)will be traveling to Disney in October. I’m trying to maximize my Tier 1 Fastpasses in Epcot. If one parent gets a Fastpass for a Tier 1 attraction, can 3 members of the rest of the family use rider swap if the parent with Fastpass rides alone? What I’m asking is it possible for 4 people to ride on an attraction with only one Fastpass as long as the person with the Fastpass rides alone? Also, if the above works, does the person that has the Fastpass reservation have to be the one to ride? Can I use my 3 YO’s FP on myself and then have my wife and older kids ride using rider swap? I just read some of the older comments (I think it was April 20th or 21st). Shannon said that would work- as far as using 1 fp+ for 4 ppl. You might want to stick with just booking 3 fp+ for yourself and 3 for your spouse. Not sure about the 3 yo’s fp+ unless you switch your band for theirs. But then, I’m not sure if the finger/thumb print scan matters if you switch? Does Rider Switch apply for an adult that is unable to ride due to health or large size? I would want to be able to take each of my small children (2 and 4) while my husband sat with the other. No, it doesn’t work like that. Many attractions that 2 and 4 year olds can ride allow up to 3 people in a ride vehicle. I read all these comments but I still am confused if I am “missing out” on maximizing this system. I have a tall 5yo (who wants to ride everything!) and a baby (8mo). Right now I have both adults and riding child with FPs for all rides, but I know in almost all those cases we will have to utilize ride swap, so I realize that adult #2 doesn’t “NEED” the FP reservation but I am unsure what to do with that? Is there some value in having JUST an adult FP to say characters or shows or even rides if riding child and adult #2 don’t have a FP? If i just show up at a ride with one adult FP can I get a rider switch?? I am going in a week and nervous about over-engineering this. -Dad reserves FP+ for Soarin. Gets in line with family. Gets rider swap ticket. Dad & son ride, while mom & daughter wait and ride later. -Mom reserves FP+ for Test Track. Gets in line with family. Gets rider swap ticket. Mom & daughter ride, while dad & son wait and ride later. -Son reserves FP+ for Frozen Ever After. Gets in line with family. Gets rider swap ticket. Son & dad ride, while mom & daughter wait and ride later. -Daughter reserves FP+ for one of the above mentioned Tier I rides for a little later in the day. Gets in line with family. Gets rider swap. Two ride, two wait, and ride later. 1. If the above scenario plays out, would both kids be allowed to ride the second (or even first) time around? You state that up to 3 can hop on a rider swap, so I’m inclined to think they could both ride it the second time, but probably not the first. 2. When you want to redeem the rider swap ticket, do you just get in the Fast Pass line? I know they are dated, but does it matter when you use them? Can you use them right away or later that day? Thanks, as always, for all your help!!!! Love, love, LOVE your site and podcast! I get so happy when I see a new podcast from WDW Prep waiting for me for my morning commute! same with test track….mom and whoever is going on would need a fast pass for that first intial ride. This system seems great for people wanting to utilise their time better in the parks. Can you help with a group of 9? I see you haven’t answered the ‘big group’ questions people have asked. We are 4 adults and 5 children (15,12,11,7 & 7). The older three have no problems riding all of the rides. But the two 7-year-olds, although tall enough, are scared of Splash Mountain, Tower of Terror etc. How should I split up the Fastpasses & Rider Switch option? I know Disney states on their website that the RS option is for people who aren’t tall enough or for Guests who do not want to ride. I am having a similar issue with my 7 year old and 10 year old. My 7 yearold is 50 in. tall but doesn’t want to go on Space Mountain, Big Thunder Mountain Railroad, Expedition Everest, or Rockin Roller Coaster, and the 10 year old wants to ride all of the above. Ideally, I would like to effectively double my FPs for the rides my son doesn’t want to do. But I don’t want to risk not booking FPs for myself if we get to the CM and he/she tells us I also need a FP. I have rang Disney and they say Rider Switch is for any guest who doesn’t wish to ride (including a scared child). But I’m worried the CM will disappoint us as many people say it’s down to their discretion. So on the things for the little kid to do while the big kid rides you mention several options that are at the exit of the ride. Can the parent/kid not riding just walk into the exit area without riding and standing in the lines? Yeah, but it’s a separate door than the one used to enter the ride. Just have to walk slightly left or right to go into the exit area. Anybody can go into those exit areas that are also gift shops and activity areas. Hi Shannon! This is great info and really looking forward to following your suggestions. One question I had is for a family of four. Mom, Dad. 7 year old, and 1 year old. If Mom (and Mom only) had a Fast Pass for say the Barnstormer, could we get a rider swap pass so that Dad and 7 year old can go right after? Would we just show up as a family and say we have 1 Fast Pass??? Hi, I’m visiting with hubby, 8yo, 5yo and 1yo. When using rider switch can I just FP 1 adult and 1 child, and then use rider switch to swap the waiting child as well as the waiting adult? (So each child would only ride once?) This would mean we could book 6 FPs each day (1 adult and 1 child each time, and using rider switch for the other waiting adult and child). Have I understood this correctly please? Disney is now requiring every member of the group to have a fast pass because this loop hole is allowing some to have 6 fast passes and access to rides on the same tier such as Soarin and Test Track. This doubling up is in fact cheating the system. I believe some Cast Members (especially the one on the phone) say that, but that’s not how it works in reality. It takes families using Rider Switch twice as long to tour because they have to take turns riding. They aren’t cheaters if they make use of FP+ and Rider Switch to help reduce the waiting time of the non-riders. hi there, we are headed to animal kingdom next week – 5 of us – 3 adults and a 4 year and 6 year old – i have fast passes for all of us for everest but I know my 4 year old can’t go – i was going to swap it out for another fast pass for my 4 year old an me (maybe lion king if we can save seats for the others? )and then do the rider switch – i called disney and was told i can’t do that – the person i spoke with said i must have a fast pass to ride everest with my 6 year old daughter – she said i can’t go in the fast pass to get the rider switch unless i have a fast pass – this contradicts how you explain – please advise what we should do? can we even save seats via fast pass for lion king for the other 3 in our party who won’t have a fast pass for it or is the seating in a separate area? THANK YOU!!! I have done disney a few times with my wife and recently with our 2 year old. Child swap was awesome because it gave us both the ability to ride…..Heres my dilemma. This year we are traveling with the whole family…..15 people total. 4 of the 15 are all going to be to small to ride the big rides so my question is….. Can a group of 15 with 4 babies get multiple child swap passes to account for half group going in and the second half going in together later or do I need to coordinate having groups of 2 going in separately and getting child swap passes per group. I am trying to maximize the Fast Pass bonus with the child swap and am getting caught up on this question. Does Rider Switch have to be done as soon as the 1st group finishes their ride or can you come back later? Just wondering in case the 2nd group haven’t completed a ride they went to while waiting for the completion of the 1st group. The Rider Switch pass doesn’t have to be used right away, and often even has an expiration date that’s days away. My husband and I are going to WDW with our 7 year old twins and 5 year old. Everyone is tall enough to ride the rides but we’ve always had grandparents with us in years past to ride with them. This is the first year that it will be just my husband and I with the 3 kids. So my question is: are the 7 year olds old enough to ride alone (with us being on the ride with them) or will we need rider swap passes to be able to ride with them individually? If they are tall and old enough to ride alone, our concern is if they’re going to want to alone. Could we get rider swap if they’re scared to ride alone? If you board the ride with them, they will be able to sit in a different row from you if necessary. Hi Shannon, I’m trying my best understand how this works but I’m not sure how, or if, this can work for us. My wife, myself and our 10 year old son will attending Disney in a couple weeks. How can we use this ‘Rider Switch’ to our advantage? It only works if you have a child that’s too short to ride. At 10, I assume your son is tall enough for all of the rides, so you wouldn’t be eligible. Shannon – What if child is tall enough but too scared. Our DD (7) does not like Soarin but it’s our favorite. Can one of us get FP & do Rider Switch? I have a feeling the same will be the case for Flight of the Passage. Please tell me if this will work: Me and my daughter will FP+ Space Mountain, and get a rider swap for my husband to ride again with my daughter. Can I send my husband and son to FP+ Tomorrowland Indy Speedway to keep them busy while we ride Space Mountain? The child that’s too short to ride needs to be there when you get the Rider Switch pass, then they can leave to do whatever they want, including ride the Speedway. Quick question so we have a party of 6, my youngest child is about 44″ tall so if I stayed with him (more likely nana) while the other other 4 went on the rides which have a 48″ requirement. How many people could ride again? Thanks for the information. This will be the first time we will use the Rider Swap option and I am hoping it will go smoothly. We didn’t even know this existed until I read your post. What kind of pass is given to the group 2 that is waiting to ride? We tried to do Rider Switch at Soarin in January but the CM at the FP entrance had no idea what we were talking about. It was so frustrating. This will be our first trip using rider swap. We are taking a one year old, therefore we didn’t have to purchase her a ticket but it looks like she will get a magic band. Can we assign Fast passes to her that my older child can use? No, although she will have a MagicBand, she won’t have tickets or FastPass+ reservations. My family and I are hoping to ride Soarin, Frozen, and Test Track. We are a family of four. 2 adults/ 1 (4 year old)/1 (2 year old). We are eating breakfast next to Frozen (8am), so we are good for that. My son (4 years old) and I were going to get a fastpass for Soarin and use the child swap so my wife could ride. Would my 4-year old son be able to ride again with her after we ride? My wife is going to get a fastpass for Test Track. Would my son be able to ride with her or no because he does not have fastpass? Would I be able to benefit from the child swap on this ride? Thanks for your help. Hope this is not confusing. Are we able to do this scenario….my husband and I both want to go on something but BOTH kids are too small…can we do 1 FP and get a rider swap pass for the other? Thanks! Hi! We are visiting WDW in Nov. It will be just me, my husband and 6 yr old daughter. How can we use rider switch to our advantage so that my husband and myself can both ride with my daughter who cannot wait by herself but both parents want the chance to ride with her on a ride that will seat only two ppl. Similar situation for us…my wife and I plus our 5 year old who meets most height requirements and my 2 year old who does not. We will only have 3 park admissions to make FastPass reservations with…wondering if I can make a single FP reservation and have my daughter come on the ride with me, then my wife and daughter go back on? If not, if I read this correct, we can still double our FP by just me going on and getting the rider swap and then my wife and daughter go on? Daughter wouldn’t get to rise twice but that’s OK if I can get 6 FP instead of 3! I love the suggestions on how to use the Fastpass and rider swap. My only question is..I just called Disney and they said you can’t do that. Has this been tried recently to make sure you can still do this? Would hate to plan my passes around this and it doesn’t work out. Thanks for the good advice! Sites like this wouldn’t have to exist if Disney had all of the info. Unfortunately, many of the cast members on the phone don’t know or have been told to say something different. The way I’ve outlined it here is the way it still works. Shannon, I have a question about this whole process…. So me, my 8yo daughter, and my grandmother are all going to WDW this April. Granny lives there, so she will not be on our resort reservation or FP+ reservations. My question is…. Can we use Rider Switch on Mine/My daughter’s FP+ reservations so that Granny and I each get to take turns riding with our daughter? So, Daughter and I ride first with our FP+ Reservations, but get a rider switch pass for Granny, who can ride later in the day with Daughter. Does that make sense? No, that won’t work since the point of Rider Switch is that you have somebody who is too small to ride. You can add her to your resort and FP+ reservations (even if she isn’t staying) though so she can have everything the same as the other 2 of you. Can’t Rider Swap be used for someone who is not comfortable riding the ride (scared, motion sick, etc) and not just for someone who doesn’t meet the height requirement? The Disney World site says “If Guests in your party can’t or don’t want to board an attraction, you don’t have to miss out! If a child does not meet the height requirement or a Guest does not wish to board a particular attraction, no problem!” which seems to indicate that it’s not just about height, but the Cast Members at the attractions enforce it inconsistently. Did someone use this technique recently? Thanks. – Group 2 is two adults and non-rider with no FP+ who both get rider swap passes. In other words, can two adults in a larger group wait with the non-rider and each get a ride-swap so they don’t wait alone, or would only one of them get a pass? Thank you so much this tip saved our trip last Christmas with two adults and two kids. I am overwhelmed about planning fast passes and definitely confused about rider switch. Do u have any tips you could share for a big group? Should we just plan to split up and do our own thing? I know the crowd level is suppose to be insane so I wonder if fp will even make a difference that day. Hi, I love your podcast! Do you have a new recommendation for what to do while waiting on Star Tours with a young child now that Honey I shrunk the kids is gone? I have this same question! Can I use rider switch on the Tomorrowland Speedway Ride if I have 2 adult and 3 children (all too short to drive themselves). Will they let us switch 3 times? Does this work if I have a child hat is scared to ride a bigger ride, but she meets he height requirement. For example, would like a FP for rockin rollercoatster or expedition Everest, but she’s too scared to ride those. Would it work to do a rider switch on that case? I want to second this question about kids too scared to ride. I’m going to WDW next week with my 9-year-old, 7-year-old and 5-year-old. When we went two years ago, we used this system routinely because the 5-year-old was 3 then, and couldn’t ride a bunch of rides. Now, however, they’re all over 40″ tall, so aside from the handful of rides with height requirements of 44″ or more, they all *can* ride everything. But the 7-year-old is terrified of Splash Mountain (because of the drop) and Tower of Terror, and does NOT want to ride either one. Is there any hope of doing a Rider Switch where my wife rides with the 9yo and 5yo, while I wait with the 7yo, and then I ride with the 9yo and 5yo? Or is that simply not allowed because she’s tall enough? If this was possible, I’d tweak my FP+ reservation for MK, and do the double-FastPass-booking thing with Splash & Space mountains (since the 5-year-old cannot ride Space Mountain). But I would hate to end up in a situation where my wife or I miss riding one/both of those rides because they don’t allow the Rider Switch…even though it’s totally legit in this instance, as our 7yo is genuinely terrified of Splash Mountain (i.e., we’re not just working the system!). My daughter is severely disabled in a wheelchair and there are certain rides she can’t go on because we simply can’t get her on it. For example, she won’t be able to go on the frozen ride. That ride has no height requirement. Will my sister and I be able to do a rider switch? Has anyone done this recently? I just spoke to a Disney representative while booking fast passes and he stated that in this example, everyone in Group1 and Group 2 would need the fast pass. If I could put a “don’t call Disney” message across the top of the site, I would. 🙂 I assure you that what’s written here is how it works. I’ve used the rider swap before and it worked like a charm EVERYTIME with me, my husband, and my two girls. My next trip in November is a bit different. I am taking my mother and my two girls, one of which is tall enough for ALL the rides, the other, only a few. However, my mother has health conditions that will prevent her from riding things like Mine Train and Thunder mountain even though both of my girls will be able to. Has anyone been able to use rider switch in this circumstance? I ride with one child and my mom sits with the other. Then I ride again with the other child afterward? Otherwise one of my kiddos will have to sit alone and at 8 and 5, riding these coasters for the first time, they just aren’t ready to do so. Thanks! Our family consists of a Mommy and Daddy, Girl 12, Boy 11, and a Girl 2. I’m a little confused as to how to maximize our fun using the Rider (child) Swap. Can someone help me out? Eddie, it can be confusing at first, but once you get the hang of it, you’re going to love it. The last time we went our kids were Boy 8, Girl 6, Girl 4 and Boy 3. I was the only person in the group aware of the concept of the child swapping and everyone else was a little timid. It took a cast member to suggest it when the 4 year old (almost 5) was identified in line as being too small to ride Space Mountain. We were given a ride switch pass and I took the two older kids, while my brother took his daughter to play outside. The two older kid were able to ride again with my brother and I sat the second ride out with the two younger kids and out wives. The older two loved getting to ride everything twice and the two younger kids had a blast touring shops, visiting playgrounds and riding more age appropriate attractions with small/no wait times. If you’re still confused when you get there, ask a cast member. Once you’ve done it once, you’ll be looking for opportunities to do it whenever you can. Thanks for your amazing tips! I would LOVE to see your above example with a family of 3 instead of 2. I’m trying to figure out how to take advantage of this system with our kids (11-8-4) since my 4 yr-old won’t go on any of the thrill rides even if she is tall enough. Do all members of group 1 need a FP+? Could I use one along with my 8 yr-old using his younger sister’s and bring our 11 yr-old on the ride without a FP+ or will he need to wait and go after with his dad? Arrghhh……! I’m sure there’s great potential here I just can’t understand completely without a written example!! I have a question. On the Disney World website it doesn’t list Rider Switch being available at 7DMT. Has that changed? We were just there end of January 2016 and this worked out great. We essentially doubled our fast passes! Awesome! Thanks! Thank you so much for your very helpful and informative articles. They are extremely helpful! I am taking my grandchildren to Disney for the first time,and needless to say the planning is overwhelming since a lot has changed. I find that your links are VERY helpful! Thank you so much!! Hope someone can help me with this question…I will be taking my two children (8 and 13 years old) to WDW and was wondering how the child swap would work for us or can it?? They are terrified of both Tower of Terror and Aerosmiths Coaster, neither will ride! We went this past June and I just took the lose and didn’t ride. I’m not a fan of letting my kids stay alone or wonder around this BUSY place. Any advice please?? Thanks! My daughter also didn’t ride at that age (first coaster wasn’t until age 18! ), but she waited alone in nearby shops, often babysitting younger kids in our group. Can’t really use Rider Switch if your kids are tall enough to ride. Would highly suggest having a FastPass+ for you to use to reduce the amount of time it takes to ride. We were all getting on Big Thunder Mountain Railroad when my daughter decided at the last minute she did not want to ride. The CM there said not to worry and she kept our daughter with her while we rode avoiding the need for her to be alone. I would get a Fastpass and have your kids go with you and then wait at the exit area while you ride. That would greatly reduce the time they were alone and they would be close by you. Hope this helps. Awesome site! My family of 5 (Mom, Dad, 7, 5, 2 yr old) is going in May and I’m nervous about splitting our FP+ using child swap even though there’s no question we’ll be eligible with the 2 yr old. While I understand how it’s supposed to work, from what I’ve read numerous places including this site, there’s still the possibility of running into the CM who requires all riders to redeem a FP+ to get a child swap pass. My main concern is SDMT at MK because the standby waits are very long most of the day. I’m thinking about “hedging our bet” and booking FP+ for all riders just in case the CM requires a FP+ for everyone. If only Group 1 needs a FP+ then I can change group 2’s FP+ reservation in the MDE app. Are there any flaws to this plan? Can you give me a ballpark success rate for those who’ve split FP+ w/ ride swap with no problems? Thanks! How did it go? This is my exact concern! Hi! We are heading to Disney in April with. 6yr old and 2 yr old. What rides can we all go on as a family? If my 2yr old can’t go on a certain ride, and we do a rider switch, do both adults and 6yr old need a fastpass or just 1 adult? Thanks! Hi Shannon!!! We just returned from Disney (Nov 12-21) and utilized this extensively (I have an 8 and 5 yr old as well as an 18 month old). It was such a great option and we did double our fastpasses with one exception. We attempted a rider switch on Toy Story Midway Mania when only my hubby and 5 yr old had a fastpass. The cast member in the FP+ line refused to give us one stating the ride had no height limit. He also gave us attitude saying it wouldn’t be fair since my son didn’t have a fastpass (this resulted in many tears…but thats another story!). Just thought I’d share…it worked out mostly great for us. Toy Story Mania doesn’t have a height requirement, so anyone and everyone can ride; therefore, they don’t offer Rider Switch passes at that attraction. The CM wasn’t denying you one. They just aren’t available for rides that don’t have height restrictions. The switch passes aren’t given out at all FP+ attractions, just the ones where you can’t take the baby. This happened to me too. I had an 1 year-old and they told me she could ride. I explained that I didn’t feel the whipping around fast was appropriate for her, but he copped an attitude too. He did let us get one, but it was a hard feat. Hello, my 2 children (both under 3 years old) will be accompanying my husband to Orlando for his business trip. My question is, if I take my 2 children to DW on my own, can I use my one fastpass and take both of them on a ride (with no height restriction), meet and greet or entertainment? Thank you, great site! Definitely. We’ve done that with our twins with no problem. Just get your own Fastpass set up and bring them along. Thank you for all of this great info. I have been on your site daily for a couple of months now. My question is, I am bringing my 84 year old Grandmother on our next trip and I was wondering if the rider switch system would apply to her. It seems like a silly question since she is an adult and can sit by herself, but I would prefer not to just leave her sitting by herself. Also, do you have any other tips to take people in a wheelchair? We do not like to cut the line with her, but tips on how best to navigate through the rides she will get on. Just wondering if you have tips for this. Thank you again so much for all of your info! I wouldn’t bank making double fast pass reservations on this system unless you are prepared to be disappointed. My family travels to Disney frequently and we tried this on a recent trip on our own. Disney does not want you using the two to game the system and we found that when we asked for a rider switch pass, they would only give it to somebody getting in line for the ride and watched to make sure you got in the standby line, not the fast pass line. They wouldn’t give the rider swap if you were going to get in the fastpass line because techically everyone in your group should have a fastpass and should be able to go in the fastpass line after you. It didn’t happen at all attractions but it did at several. So just be aware that you might have difficulty trying this tactic. We are heading to WDW in December and are looking at making our fast pass choices next week. I just wanted to make sure we were thinking about this correctly. There will be my family of 4 (me, wife, 9 yo & 2 yo), and my wife’s parents. So 4 adults and the 2 kids. I know the 9 yo is going to want to go on all of the big rides so make sure I am think about all this correctly. Get fast passes for my wife and myself and 9 yo. Then get the rider swap and my wife’s parents can ride with the 9 yo. Also do you have a printable list for all of the rides with rider swap. Your understanding is correct. I don’t have a printable list, but basically anything with a height requirement will allow Rider Switch. Then for the next ride we get the FP for my wife’s Parents. Use the Rider swap for My wife myself and my 9 yo. My family of 4 has two kids, ages 5 and 1. Since the one year old does not have a park ticket, I can’t effectively double my fast passes by using rider switch right? Even though mom and dad could effectively alternate FP and RS, the 5 year old needs FP for his first go on everything if I’m thinking this through correctly..
Shannon, your alternatives to sitting around and waiting are brilliant and I wish I knew about this for our first trip. I think I just didn’t realize how long an attraction can take, even with fastpass. My 5yo wants to do the Mountains, but my 7yo does not, and not even Barnstormer. Ok! I will also have my 2yo. I would like to do ride swap for Mine Train because I know my husband, myself and my 5yo want to do that. The other things, I am fine with my husband and 5yo going on their own while 7yo and 2yo do something else. For BTMR and Splash, would Hall of Presidents be reasonable? Should I add a 2nd thing, because I know those two can take awhile even with FP. Maybe a lap on the railroad, though that might be a bit long. idk. is there an “easy” way to print your tips? For example: how to use rider switch, or touring plans. Thank you! My husband and I are taking our 4 year old in November and I think I understand rider swap but not what to do with getting fast passes. The 4 year old’s fast pass can’t be used by another person right? So say there were two big rides we wanted to go on…my husband could get a FP for the first and I would ride with rider swap and then I could get a FP on the other and he could ride using rider swap right? So what do I do with the 4 yeaer old’s FP in those cases? Just schedule him for one even tho he won’t use it? Anyone can use your son’s FP+. Just give his ticket or Magic Band to whoever needs to use the FP+. We have a 4 yr old that doesn’t ride the “big” rides, so we use his FP+ and Rider Switch to let the older kids (and hubby) ride twice. Aren’t the tickets linked to a thumb print? Just at the gates.. they don’t check finger prints in FP lines. We are going in a large group of 10. On the big rides like expedition Everest, primeval Whirl let’s say, 3 of our group won’t be able to go. How do you recommend we get our FP+ reservations. Is there a way to have half the group get EE FP+ and the other half get primeval whirl FP+ then just use the ride swap? I have read in other sites that if combining rider swap with fast pass both parties the initial “group one” rider and ” group two riders both need their own fast passes. group 2 rider trades I. There fast pass for a rider swap( which then then have the whole day to use, instead of the 1 hr fast pass allotted time plus they can bring 3 others to tag along). I can not find an official policy on this from WDW. Many sites have said its up to CM. I am booking fast passes next week and this will be a Hugh factor in my fast pass selections. I’m a little nervous to plan my fast passes around this and have it not work out. Can anyone confirm this still works? My husband and I are taking our 2 year old to WDW soon. Will we be able to use FP+ and Rider Switch even if there are only 3 of us? That means I would book 1 FP+ for him on say, Soarin’, and then he would get a Rider Switch pass for me, right? Please help, we leave in two days! Does this work if I get a FP+ for space mountain, my husband waits with an infant and six-year old and then hubs and the six-year old can ride on a rider swap? Thanks so much for your help, Shannon! This is a last-minute/first-time trip and I freaked out after booking then realizing how much planning is needed. One week with your wonderful content and the growing pit of regret has turned to kid-on-Christmas excitement! We have 2 families traveling together. – Family 1: 2 adults, 9 yrs. – Family 2: 2 adults, 9 yrs, 1 1/2 yrs. Family 2 will watch the 1 1/2 yr old while family 1 rides, then switch. A. Since this is 2 different families, will Disney allow the ride swap? B. We would make 3 FP reservations for each ride, correct? I will be going to Disney with my husband and 5 yr old child. Can my husband (who has a fast pass) get a rider switch pass for the ride and ride it while I stay with our child who is tall enough but doesn’t want to go on the ride at that moment? Then later in the day when my child changes their mind about the ride, can all 3 of us go on the ride using the rider switch pass? Or does this system not work if there are 2 adults and 1 child? Your suggestion might work if the Cast Member will give you a Rider Switch pass, but the system is generally designed for kids who aren’t tall enough to ride. Hello Shannon- Great info as always! question-Is the rider switch on all rides or just Fast+ rides only? It’s available on attractions that have a height requirement. I think the only attraction with a height requirement but without FastPass+ is Sum of All Thrills at Epcot. Okay I certainly understand rider swap for fast pass users but what about if you don’t have a fast pass for the ride. Does everyone have to stand in the queue up to a certai point or do the first 2 riders only need to be in the queue and tell someone they are doing rider swap and will be given a return or does it work at all if you don’t have a fast pass? this is so helpful! It’s clear I have some strategizing to lay out in the next few weeks before our Fp+ date. Question — sounds like for some rides I will only need to book two Fp+ yet essentially with rider switch we will use four riders with my older child riding twice. How does this work with the character meets? I know that doesn’t involve rider switch but seems similar in that I read you could book Fp+ just for the kids and not adults for character meets. Can you confirm this? Or do all four of us need Fp+ for the A&E and other character meets? Everybody who enters the building for a character meet needs a FP+ so it works the same as rides. HELP. So confused about FP+ and Rider Swap. Going to WDW with my wife and 6 year old, who despite being tall enough, doesn’t want to ride the likes of Expedition Everest. 1. I book a FP+ for the ride. 2. At the entrance I get a Rider Swap voucher for it. 4. Later on in the day, my wife comes back and rides. Just one FP+ needed for me. However, Ive just called Guest Relations, and was told that we need two FP+ reservations. How can this be right !? At some of the attractions, might have been Rock & Roller Coaster and/or Space Mountain, the CM at the FastPass+ entrance was going to make all of us go into the attraction and do the swap inside. I requested that I use the time to take my daughter to the restroom instead, and that was granted. But I wanted to mention, that if they make the whole party go in, then the whole party has to have the FastPass+ for that attraction. I ask readers to test this out all the time for me since I never use it personally anymore. They’ve always reported that it still works the same as what I’ve described in the article, except for the occasional CM who doesn’t understand how it’s supposed to work. Cast Members who insist that everybody needs a FastPass+ are mistaken. There’s no point in having FP+ and a Rider Switch pass as that would be redundant. Hi Shannon! Your site and podcast are wonderful! For the adult not riding can they go back with another adult using the Rider switch pass? We have a large family going 6 adults and 5 kids one of the kids is an 18mo so me (mom) or dad will have to stay back on some rides, if none of the kids want to ride again can another adult or 2 adults go so Rider left behind doesn’t have to go by themselves? Thanks so much!! Definitely. Anybody can use the Rider Switch pass as long as it’s 3 people or fewer. 3) 1 Adult rides alone first while 2nd adult stays with 5 yr old and 2 yr old. 4) Then 2nd adult and 5 yr old ride. Thanks for the quick reply! I’m worried that my 2yr old will have some major abandonment issues if he sees Mommy and Sissy leave without him for a ride. This way, Mommy and Sissy can go back for a few rides while he is sleeping. Plus, they can add a few more FastPass+ for meet and greets! So i’m traveling alone with my sister for my 21st birthday. she is 10 but she doesn’t like some of the big ride just yet what can I do? can I just ask one of the CM for help? This sounds great. How does it wotk with 2 x adults, a large 4 year old and a baby? Hi, I have a question in regards to Tommorrowland speedway. My husband and I are visiting with our 3 kids, we have a 3 year old, 5 year old and 7 year old. My son is going to for sure want to ride this ride as he is obsessed with cars however none of them are tall enough to drive. Would they allow my husband and son to go, then my husband and daughter and then me and my daughter? I saw somewhere that three could fit in one car, but I haven’t seen a picture with more than two people in it to confirm that theory. I don’t want to skip this ride, not only does it have sentimental history with myself I know my son will love it. Any ideas? There is 7 in our party plus a baby. I am trying to wrap my head around how I can get “more” fast passes with using the baby swap. I currently have the same fast passes for all in our group, is there a way I can split them up and book fast passes for different rides so we get on more rides. If you do not have a fast pass for a ride and you get a switch pass do you have to wait in line with first group and then the second group has to wait in line all over again or do they put you to the front of the line? Hi Shannon! Love your site, and have used it many, many times for different trips of ours! I have a specific question about FP and rider swap that I didn’t see addressed in any of the comments above (sorry if it was and I missed it!) and I’m hoping you can answer it without feeling like you’re being too repetitive. I’m trying to ‘get it’ and my brain is just not working. Hubs and I are taking our 3 kids this August (ages 6, 6, and 4 by then). They will all be old enough and tall enough to do most rides, but since there will only be 2 adults, we are aware that some rides, the Tomorrowland Speedway, for example, where we cannot sit 2 in one and 3 in another. So, how exactly does it work with the FP in that situation? Do we still do FP for the whole party? We assumed one of us would just ride 3 times, once with each kiddo, but how do the FP work on rides like that where only 2 can sit per car/seat? Any info you could provide would be helpful before we sit down to work out our strategy for FP! Thanks in advance! Does it have to be a child who is too small to ride or can it be a young child ( age 8) who simply doesn’t like fast paced rides ? It can be a child who just doesn’t want to ride. Some kids at that age who are tall enough just might think that its too scary and don’t want to try it. Wonderful site, and here is my question. There are four of us in our party (my wife and our 3 and 7-year old daughters.). If we want to use the Ride Switch pass, could we do it like this? 1. We all approach the attraction and let the CM know we want to use Rider Switch b/c the 3 year old is too small. 2. I enter the ride as a single rider and use the SINGLE RIDER line (which is much shorter). 3. Then my wife and 7 year old can return using the Rider Swap pass later. Or, do they force the waiting party (which would be me) to use the regular queue for the attraction? We could also save a lot of time doing it this way; utilizing the Single Rider lines. Does anyone know if we could do this? This is a great idea! I hope someone can answer if it is allowed and a quick convenient way to save time. Unfortunately they have always made us use the main entry which makes me really upset when single rider is moving so fast and I’m alone. Sometimes you get toward the front and they will still bump you up if they need to fill a car, but nope. No single rider line in the past few times I’ve gone in either MK or HS in my experience. One thing to make note of, which we found when we went last week. They require you to “show” the child at the ride with the adult who will not be riding. I thought it was just 1 cm who might have been having an of day, but the next ride when I asked, luckily my husband was near by and I had him come over. I even offered to show his pass because I had it on me, or after we got off the ride pop back over with him and the baby because he was changing her in the bathroom. Nope, had to have the child there. can anyone tell if this really works (converting 3 to 6 FP). we already have 3 FP for each day of our trip. all my family members have FP. But i am thinking of splitting 3 to 6. Please let me know if his would work. This is so informative. I am still slightly confused on how this would work with two adults, one “tall-enough” six year old and one baby (non-rider). How would you advise pairing our FP+s? Would the two year old get FP+s too? Could we actually get 6 Fast Passes for the kids and the girls could both do some rides twice/together and leave the other adult outside to wait? I’ve reread this like 5 times and don’t understand! Sorry. But I wanted to add that 2 yr olds don’t get fast passes at all. Only ticket holders do. Hope that helps a little. The disney site says ride swap is only available for 2 guests to come back to ride again. Not three people. I would check the Disney website if you would need to bring three riders back using the swap option. It’s still up to 3 people. The Disney site has been incorrect for a long time. I’ve confirmed this recently in the parks. single mom if a 6 and a 8 yr old. Traveling to Disney June 2015. If my 6 yr old is to small to ride a ride, can she stand next to a Disney worker for me and my son to ride a ride? I’m hoping you’ll get some responses with helpful answers. I’m a single mom who will be taking my 3 year old. I know they have the childwatch at some of the resorts but I just want to do a few adult rides like Soarin and Space Mountain. We’re traveling in a month. Ok…so tell me if this makes sense…I have myself, my wife, and 10, 8, and 2 yr olds. I schedule FP+ in groups of 2 for very popular rides in the mid morning and use Rider Switch to get the 3 switch tickets for each ride (which you say have no expiration window) When one of us goes back to the room for the afternoon break/nap with the 2yr old could the other then hypothetically use all of the rider switch tickets during the afternoon with the 2 older children when things are getting busy and at the same time collect a FP+ here and there as well (since all 3 FP+s were used earlier in the day) if this is indeed the case then YAHOO!!! 😉 I think we will have hit the gold mine. Can this be utilized in the case where you have a family of three and a two person ride? Example: Me, DH, & our 4 year old are going to WDW. TSMM is a two person ride. We have FP+ for all three of us at the same time. Can my husband ride with her while I wait then I ride with her immediately after? So she would go twice in a row. I have heard through the grapevine that this can be done but never straight from a source… Thanks! Informative site, thank you! My husband and I are taking our 5-yr old in December. One of the books I read mentioned that the two adults can get an identical Fast Pass time, say to Space Mountain, then get in line as a family. One of the adults would then ride while the other one wait with the child at the loading platform. Once the adult rider finishes, he/she then asks to return to the loading platform to fetch the child so that the other adult can ride. That way everyone is on one schedule – is this possible or is the “Rider Switch” system only using one Fast Pass (but the whole family of three show up then two of them leave) a better way? So I just spoke with a representative on the chat, and they said you can’t do the Fast Pass + with Rider Switch that way. They told me that you must use your Fast Pass + to get the Rider Switch if you go through the Fast Pass + line initially. Online chat people don’t know a lot though. Anybody who spends an hour on this site probably could answer questions more accurately. I assure you that this works and readers do it everyday. Thanks. She did stop and talk to someone else, I think, but probably not someone who knew any better than her. I went ahead and booked my fast pass + selections in groups of two anyway, hopefully no cast member will give me much of a problem! Shannon thanks so much for this great tip! Kersten, would love to hear how it works for you! We will be trying the same thing and would love to know if it goes smoothly for you. Thanks! I want to try this, but I do not want to mess up a trip we have planned for months over trying to take a short cut that doesnt work. Thanks for any help you can give! Is Rider Switch only for if you have a child that doesn’t meet the height requirement? I have a very tall 6-year-old who *could* go on any ride at Disney, but he hates rollercoasters. Can my husband and I use Rider Switch for a child that chooses not to ride but can’t wait unattended? No, because the point of Rider Switch is so that an adult can stay with a non-riding child. You and your kids can ride while your MIL stays by herself so Rider Switch isn’t necessary. What if you have small non-riders (I should have 2 that can ride and 2 that cannot) and my husband who WILL NOT – can we use it so I go on twice – one with each child who is able to ride – if it is a 2 person ride? Is there a list of the number of people that go on a ride together? Like for example you can fit 2-3 on haunted mansion? According to the MyDisneyExperience website, you can only bring 1 guest with you on a rider switch pass. I am trying to plan my fast passes for a party of 8 (5 adults, 2 big kids, and 1 little guy). What is the best way to get the most out of our fast passes/rider switch? Their site has said that for a long time but in reality, it’s up to 3 people. So is a Rider Switch Pass no longer good for 3 people, only 2? Their site has said that for awhile but it’s up to 3 people in reality. i am confused. do you have to utilize the rider switch immediately, or can you come back as long as it is the same day? You can use Rider Switch any time that day. There isn’t a time specified on the pass. So I’m a little confused. We don’t necessarily want to “split up”. We have 2 teenagers, 2 adults and then 2 two year olds. One adult will need to stay with the 2 year olds. So could we all get in line together….stay in line together, then 1 adult and 2 teenagers ride and the 1 adult waits with the 2 year olds….then as soon as they get back, the riding adult takes the 2 year olds and the non riding adult gets on the ride with the 2 teenagers? So the teenagers would ride twice in a row but each adult would get to ride once each. Is that allowed? What if you have 2 adults & 2 children (both children meet height requirements but are less than 10 y.o) & one of the adults won’t/can’t ride due to severe motion sickness, can one adult ride twice so that a child doesn’t ride alone? Specifically, I’m wondering about Rock ‘n’ Roller Coaster. I have Fast Pass+ for all 4 of us. Shannon – thank you so much for this information and your site in general. I “study” nightly for our trip later this year for a party of 12. So much to learn and so much to do! Thanks again! Yes, you can have more than 1 Rider Switch ticket. They don’t have a time on them so you can collect them throughout the day if you’d like. When you come back to use them what line do you have to wait in? Regular wait time? OR can you enter on a fast pass, or something else? You enter the FastPass+ line when you return to use a Rider Switch ticket. We are a family of 4, can my husband and I schedule different fastpass rides (so we’ll have 6 different ones total) and our children can either have the same as me or my husband, and when we go to the ride, can we get a rider switch pass each time so that we can each take turns going on the rides with the kids? Each rider switch pass is good for 3 people, right? Very glad that WDW has the Child Swap tickets available now. When we were there several years ago we were told by the Cast Member at Space Mountain that it was not allowed even though it was and had I read about it from several sources. WDW SHOULD do what ever it can so that ALL members of a family/group are able to enjoy the things they would like. Some may have saved for years to go on their once in a lifetime dream vacation and may never be able to go back. My family and I might be going to WDW over thanksgiving break of 2014. It might be my mom and I or my mom, my sister, me, and my nephew. My nephew will not be able to ride the larger rides. I am wondering how fast passes and these rider switch passes will help us at the parks. We are going to all 4 theme parks. My family is going to Disney in March, and through my research on the new fastpass + I think that having a child that is too small to ride the big rides will actually work out in our advantage. If my husband and I make sure that two of our fastpass selections are the same, rides that our two year old can go on and enjoy, but then schedule a different roller coaster as our third pick, we will get four short wait times instead of three because we will need to use rider switch. So for example, if I choose Space Mountian, the Jungle Cruise, and the Haunted Mansion as my fastpass selections and my husband chooses Splash Mountain, Jungle Cruise, and Haunted Mansion, I will use a rider switch pass after my husband goes on Splash Mountian and vice versa for Space Mountain. It’s more bang for your buck! Thanks all…this is good to know. Any suggestions on how to use 1 leftover FP? Have 2 adults, 7, 5, and 2 year old. 3 FP for TM, will do child swap so 2 oldest ride twice with 1 FP leftover. Can I get one for SM and do child swap? One adult rides alone and then switch and take the 2 older? If not, suggestions? Thanks! I guess I am still confused on the Rider Switch. My situation is that it will be my wife and I and our 6 yr old son. My wife and I love the thrill rides and we know our son will not be able to ride them. Little more clarity please? I have never personally used the system, but from what I’ve read, say you & your wife want to ride Space Mountain and there is a 30 minute wait. Before you get in line, you tell a cast member near by that you want to do Rider Switch. You get in the regular stand by line and your wife gets a slip of paper to come back later. Your wife and son can do something else- get a snack, go on another ride etc, while you wait in line and ride Space Mountain. When you are done, your wife can ride using a different entrance (probably the fast pass line). She will still have to go through the line but her wait will be much shorter. So essentially, it just cuts down the wait time a little so you both don’t have to wait two separate 30 minute waits. Does that make sense? But I recommend using a FastPass for the first person/group to cut down on that wait even more. Thanks for the info. If I get a FP, would I have to get one for my wife/son or just get the FP and tell the Cast Member we need a Rider Switch ticket? Thanks Jillian. It was unclear as to whether the second group had to wait in line again. I thought originally that the whole group could go though the line and then wait where the riders go on and off to swap there, but that’s not the case. Nope. You have to wait in ANOTHER line. This is frustrating and takes time, BUT I agree with Shannon when she says to try to FP+ the ride first. That way you only have to wait 10 or 15 minutes each. It still can take about 30 or 40 minutes, but without FP it could take much longer. Is it possible for our daughter to go through the queue with both of us? For example, all 3 of us go through the line, hubs exits with her while I board, then when I get off, he uses his pass to go back in? Just wondering, since the Child Swap was a paper fast pass, how does it work now with FP+ and magic bands? What a wonderful and amazing site this is. I, too, have been wondering how ride swap will work with the bands. With one older child and two younger, I know my oldest would want to ride twice in a row as we ride. It’s still working the same way that it always has. Just make FP+ reservations for the first part of the group and then a Cast Member will give you a Rider Switch ticket for the 2nd part of your group to use. Disney phone reps are often wrong. It’s been working the same way as always. We also hung out in the arcade at the exit of Space Mountain with the younger ones while the older ones rode Space Mountain. My son is 38″ tall, how hard is it to get around the 40″ rule? VERY HARD! We tried it – she was (literally) 39.5 inches and they wouldn’t let her on a 40 inch requirement ride. Last year the Toystory Mania gave me a hard time because I wanted a child swap ticket because I didn’t want to take my 6 month baby on the ride. It is jerky and she was so little. They were like, she’s fine. There is no requirement. I was like, No. She is not fine. I was surprised how much hassle they gave me. Not every ride offers rider switch, Toy Story Mania being one that doesn’t. The CM may not have handled it correctly, but they were not hassling you about getting one. If the ride doesn’t offer it, you can’t get it. I got to you site the other day and i just LOVE it, great info! I have a question, i know that Disney’s says that you can take the ride with the child swap with another guest. Now i have 3 children (2, 5, 7)…How strict are they regarding the tagging along just one more child, because I’m sure the two older ones will fight on who is going back to the ride with the other parent. Last year, my son was 6 and my daughter was 3. She was not big enough for many of the rides, but my son was and wanted to go. SO, my husband went on with my 6 year old and then my 6 year old went on AGAIN with me. They are pretty flexible about the older, taller children going on more than once. I am guessing they will let them go again. Does this only work for children that are not tall enough to ride the attractions? Or would it work, for example, for us – There will be 2 adults & 1 child (who is very tall) and maybe we could use this so that in rides that only seats 2 no one has to go alone & maybe the child rides twice? I know this is far-fetched, but I figured I might as well ask! lol 🙂 thanks! Can the child swap be used if the child is tall enough but the ride is to aggressive/frightening. Our youngest is 42 inches tall but is only 3 years old and probably would not ride on some of the 40 inch rides so one of us would have to stay off with him anyway. Do you have a link for the child swap chart in a printable format? I had never heard of this so thank you! I have a toddler so this willbe a great tactic so my husband and I can go on the thrill rides. Thank you so much for this list, and all of the other info on your site. I really like the clean aesthetic of your site, too. I feel like I can easily find what I am looking for, and I am not bogged down with visual clutter! It makes the graphics you do use really stand out, and are that much more appealing! You’re welcome, Cary! Glad the site is helpful to you.